Keep in mind this is just a very general price list to give you an idea of what to expect from me. Prices may vary according to time estimate, difficulty and detail as well as several other factors, but I always try to be very up front and fair. This option is for characters that already have art or photo examples of them. In some cases I will also do these Ref Sheets for new characters if they are fairly simple, but otherwise you may want to see the second Ref Sheet option listed below. 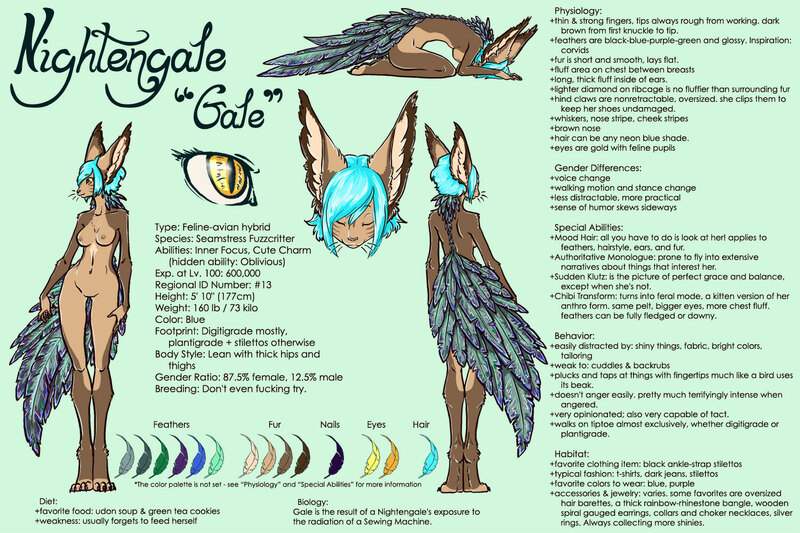 My most basic reference sheets include front and back views of the character (or side views depending upon the character’s design) , a detailed color palette, *up to three detail shots (close ups, expressions, props, etc), and **unlimited text. Previews of each production stage will also be sent to you for approval via e-mail. *Additional details, full body character views, etc are each an additional charge. **I may make suggestions but the text must all come from you! This option includes everything from the basic reference sheets as well as a one on one conversation/sketch time as we create an original design completely unique for you. You can even watch and make suggestions (commands >D) as I draw for you!